The Food Security Bill 2013 passed the lower rung of India’s parliament – the Lok Sabha recently and is on its way to becoming law, once it is authorized by the Upper House and the President. While the opposition sees this as yet another tactic by the ruling Congress party to garner popular support, reminiscent of Indira Gandhi’s “Garibi Hatao,” campaign, there is more to this debate than meets the eye. I will discuss the implications of the negative discourse surrounding this bill on India’s tradition of deliberative democracy. Also, I will briefly look at the notions of social welfare in India and what it means for its democratic norms. To be clear, India is a democracy that has struggled to provide even the basic minimum welfare to its more vulnerable citizens. There is almost no safety net (in practical terms, apart from a barebones Public distribution system) for the poorest of the poor in India and societal norms dictate that family and wider networks support those who are in desperate need of help. While the state has failed to provide any form of welfare for the poor, there are a few schemes that aspire to provide this. 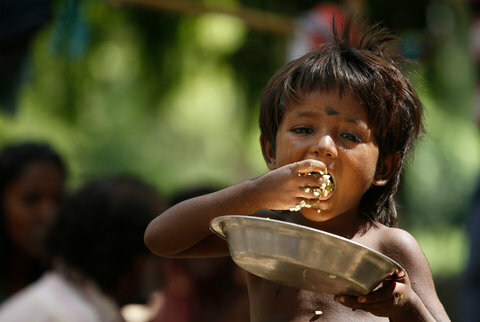 One of them is the Food Security Bill that the UPA government promised to pass in their election campaign of 2009. While it has taken a long time and much deliberation to pass, the struggles before the country to feed its most vulnerable sections remains. While debate and discussion are supposed to be enshrined in our democratic ethos, the bill seems to have brought out quite the opposite. The opposition parties boycotted the parliamentary session that sought to debate this bill and in effect tried to dismiss it. Murli Manhor Joshi, BJP’s senior leader called it a “Vote security bill,” referring it to the upcoming national elections, in 2014. Social media is awash with conspiracy theories, implicating corruption, nepotism and a thousand other ill (that surely exist) but not debating an issue and taking a dogmatic stance against a measure that will hurt the country as a whole is not very democratic, either. What does the state owe its poor? While those who are opposed to the bill are opposed to it not for how it is implemented, but in its totality – as an idea of a “handout” to the poor. This seems to be against the very ethos of what a democracy is. While the idea of “freedom,” does not make any sense if a significant number of the citizens are starving, critics of social welfare policies point out that this leaves the country impoverished and is a burden on tax payers. The Food Security Bill 2013 is a step in the right direction and makes up for some of the obligations that the state owes its poorest citizens. Attacking it purely on ideological or political grounds goes against democratic ethos and basic understanding of the social contract in a democracy. This debate, is also, in effect, about the role that the state will play in social welfare provision in a Neoliberal context. While the ghosts of India’s socialist past hang over this debate, and analysts conflate basic social welfare with ‘handouts’ to ‘appease’ the poor. 1. The FS bill deals supply of food grain and funds, for establishing office of profit etc. Rs. 13,000 cr. is used for free or near free food grains to 90-95 cr.(ie. Rs. 130/head). Other dietary components that ensure nutritional security like staple food, energy to cook find no mention. Nutrition includes safe water, staple food, fresh air, clean energy to cook without uncertainty for a healthy life is missing. 3. Expenditure on identifying Targeted Beneficiary (TB) must be weighed against providing low cost food to all citizens (on ‘Aadhaar’ or NPR card) Identification of TB has room for Social and Political interference. 251MT (Million Tons) food grains is sufficient to give 200 Kgs/ person yearly all @ 0.6 kg each daily. 4. Focus on staple food, proper nutrition, bio-diversity and work for a dignified living. Food of animal origin & development of animal resource must receive priority. Also production of water based food production like duck, fish, and edible water plants as it saves on land use, need less energy to produce protein rich in minerals and low in bad cholesterol. 6. Unsustainable economic developments lead to distress, deficiencies disaster, deaths, arouse frustration & armed upraising.. Previous Previous post: Interfaith work and Philanthropy – a faith-based revolution or a pragmatic innovation?